One of the things that is difficult when you get interested in EME is to now where and when the stations are active. Fortunately, there are some places on the internet where you can find this information. A particularly good place I like is EME loggers from the biggun station HB9Q. This station is also equipped for small radio stations to make a connection via the moon. On there website you’ll find a special section about QRP EME.To give you an example, stations with only 1 yagi and 30w on 432.000MHz can make a WSJT connection. 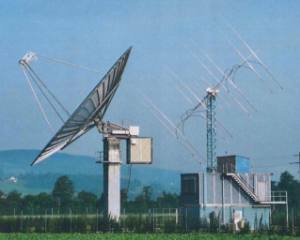 WSJT is software for weak signal communication and you can download this software via this link. After you downloaded this software it is a good idea to read the article regarding WSJT on the site from VHFDX. Would you like to receive information from EME activity, then it is a good idea to sign-in to the moon-net mailing list.